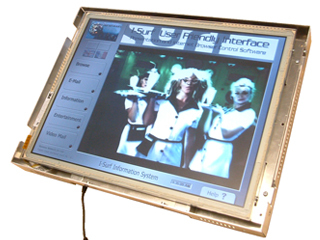 15'' Panel PC system, for easy integration into a variety of kiosk systems - Future Generation Kiosk Products. Our specially designed Kiosk Panel PC and screen system comes with integrated 12 '' touchscreen and Mini ITX PC system. It is ideal for many kiosk and industrial solutions especially wall mount points of information.